Use with everything before you cook. Substitute in place of salt & pepper. Use approximately the same amount of Magic Blends for other herbs/spices in any recipe. If you have only one or two blends, experiment and use them on other foods. They will change the flavor of everything you cook. Once you have tried Magic Seasoning Blends, you’ll want to experiment with all nine blends. 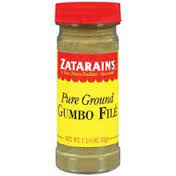 Sprinkle on Steaks, Chops, Hamburgers, Fish, Seafood, Chicken, Roast, Vegetables, Liver, Eggs, Salads or Pizza. Mix into Sauces, Gravies, Soups, Stews, Ground Meat, Stuffing and Dressings. Be the first to review “Blackened Steak Magic Seasoning Blend-LARGE” Click here to cancel reply.